My name is Dorothy Sun. 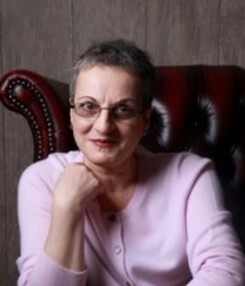 I am an Accredited Humanistic Integrative Counsellor/Psychotherapist and Clinical Supervisor. Everyone experiences difficulties at some point in their lives and experience times when extra support is needed. Counselling is a "talking" therapy and is unique in helping with resolution, understanding of current and past difficulties, but also in providing the tools for choosing and developing a better life and future. I practice in North London N8. Sessions last for 50 minutes. I am available for day and evening sessions and provide Time Limited therapy and open-ended counselling and psychotherapy for adult individuals and young people. I work in a non-judgmental and respectful, collaborative way. To book yourself an appointment or to make an initial enquiry please call, or email me and I will get back to you as quickly as possible. I am available for 50 minutes individual supervision sessions. If you would like support with your clinical work, I invite you to contact me for a free telephone consultation to discuss what you’re hoping to get from supervision and to explore your expectations and concerns. I provide a safe space to reflect on your work with clients and your personal development as a therapist. Opportunities to discuss the application of theory to practice and to consider ethical, professional counselling issues, safeguarding clients issues and reflecting on the ‘here and now’ relationship between supervisor and supervisee are intrinsic in my approach. My aim is to encourage therapists to develop their own ways of reflecting and processing clinical material so that over time, they may formulate and establish their own identity as a therapist. I currently work in private practice as a counsellor and supervisor in North London with both long-term and short-term clients and supervisees. My broad experience over the years include: working within NHS surgery, Brixton Prison, primary and secondary schools, Barnet Bereavement Service, Mind, The Awareness Centre, DePaul/Alone in London and with EAP. I am comfortable to work with people from diverse ethnic, multicultural backgrounds and welcome the opportunities to do so.